VALDOSTA — Valdosta State University’s unwavering commitment to effective urban forest management has resulted in a seventh Tree Campus USA recognition from the Arbor Day Foundation. VSU will commemorate the occasion with an Arbor Day Ceremony at 10 a.m. on Thursday, Feb. 14, on the P.E. Complex lawn at the intersection of Baytree Road and Sustella Avenue. Faculty, staff, students, alumni, retirees, and friends of the university are invited to attend. During the Arbor Day Ceremony, VSU will unveil Championship Grove, a grouping of eight trees planted in honor of Blazer Nation’s eight NCAA championship-winning teams — 1979 baseball, 2004 football, 2006 men’s tennis, 2007 football, 2011 men’s tennis, 2012 softball, 2012 football, and 2018 football. The centerpiece of Championship Grove will be Championship Oak, a sprawling live oak representing VSU Athletics' tradition of excellence. Arbor Day Ceremony attendees will also learn what it takes to achieve the Tree Campus USA designation, as well as learn more about the work behind maintaining VSU’s urban forest and why those efforts are important to the university. “Each year it takes the combined effort and support of the entire campus community and the surrounding City of Valdosta to make sure VSU’s urban forest is preserved and enhanced,” shared Monica Haynes, superintendent of Landscape and Grounds at VSU. VSU’s Arbor Day Ceremony is part of a weeklong community-wide celebration that includes a reading and book giveaway on Monday, Feb. 11, at Brookfield Academy, located at 409 Brookfield Road, Crossroad Baptist School, located at 3001 Country Club Drive, and Oakwood School, located at 426 Murray Road; tree seedling giveaways from 8 a.m. to 5 p.m. on Wednesday, Feb. 13, and Thursday, Feb. 14, at the City of Valdosta Engineering Department, located in the City Hall Annex at 300 N. Lee St.; a rain barrel lunch and learn at noon on Thursday, Feb. 14, in the Multipurpose Room of the City Hall Annex, located at 300 N. Lee St.; and the City of Valdosta Arbor Day Ceremony at 10 a.m. on Friday, Feb. 15, at the Willis L. Miller Library located at 2906 Julie Drive. 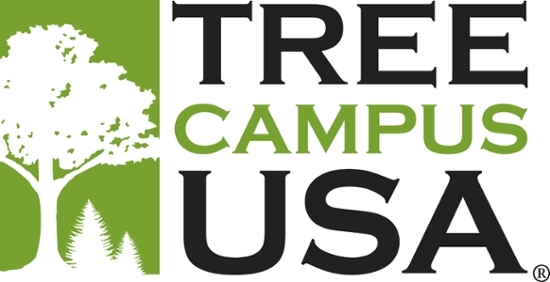 Tree Campus USA is a national program created in 2008 by the Arbor Day Foundation to honor colleges and universities for effective campus forest management and to engage college and university community members in conservation goals. There are currently 344 institutions of higher education across the United States with this recognition. Collectively they invested more than $48 million in campus forest management last year. The Arbor Day Foundation is a million-member nonprofit conservation and education organization dedicated to inspiring people to plant, nurture, and celebrate trees. VSU’s Department of Landscape and Grounds is committed to providing the campus community with the highest quality service in the areas of horticulture, landscape maintenance, landscape construction, irrigation, and trash compaction. Each grounds maintenance team member takes pride in his or her efforts to maintain the distinctive beauty of the campus and how that supports university-wide recruitment and retention efforts.